Join us to empower young leaders. AMIGOS and you have a special bond. We want to celebrate your birthdays, weddings, and other meaningful events in your life. Create a fundraising page where you can raise money for AMIGOS during these important occasions. Be a changemaker and expand our donor base today! 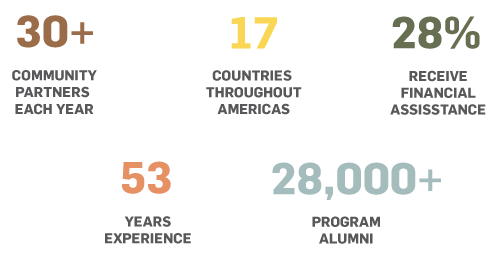 CauseVox is a peer-to-peer fundraising platform that brings together people - just like you - who are inspired by our mission of building young leaders and supporting AMIGOS! Absolutely! The easiest way to make a donation is to click the "Donate" button above.